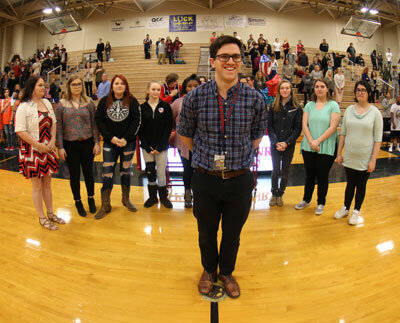 The PHHS Chorus program is comprised of six choirs, each with a unique style and sound. Jacob Devol is a 2016 graduate of the Department of Music at Virginia Commonwealth University. He has worked as a private voice and piano instructor, a staff musician at several churches, and a freelance composer. Beyond the music itself, Jacob has a passion for his students, working so that every child has the opportunity to develop his or her potential. He is finding a great fit at Patrick Henry and is encouraged every day by the work he gets to do. If you would like to volunteer your time to support our chorus program or if you just have questions about our groups, please feel free to contact our booster board.